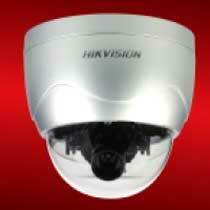 We are well-known CCD Based IP Camera Exporter and Supplier based in New Delhi. The CCD Based IP Cameras which we provide are chiefly designed using advanced technology and sophisticated machines. The CCD Based IP Camera uses internet protocol to transmit image data and control signals. The CCD Based IP Camera is a Closed Circuit Television (CCTV) Camera.